We’ve said it before and we’ll say it again; Hiring Managers DON’T read résumés… at least not initially. If they’re actively looking for a candidate, they have a ton of résumés to go through. If they are not, they have other work to do. Either way, they won’t give a lot of time to reading, so they skim to make a first determination. First, an effort will be made. A hiring manager will read the top line beneath the contact information. YOU MUST IMPRESS HERE. “Seeking employment with a progressive company” isn’t the way to go (that’s understood). Opt for a branding statement illuminating your value to the company. They’ll read just until they get the gist of the statement (so keep them short). Then their eye drifts down the page. GIVE THEM SOMETHING TO SEE! Snag the eye with VALUE. Use Bold (sparingly), Small Caps (even more sparingly) highlighting QUANTIFIED accomplishments (the WOW factor), and the Hiring Manager will stop to read. If it’s relevant to their needs, they’ll look for other relevant accomplishments. In the career history they will either look at the company name or the position title, whichever is more prominent. LEAD WITH THE POSITION TITLE; that says more about you than the company name. They will look at ALL of the titles first, then go back and cherry pick through the descriptions, looking for relevant key words (numbers will snag attention, too). Chances are they won’t read all the way through, but they will mine the document for relevancy. This being true, organize the top of the document carefully, drawing the eye to what needs to be seen. Don’t over-structure the career history descriptions. Simple bullets work well. As everyone knows, the initial impression (interview and first days of employment) are paramount to career success by setting into motion employer expectations and paving future consideration. As a result, common sense dictates that your behavior should be nothing less than professional in nature and always timely in consequence. How many readers would enter a relationship, personal or professional, without being on their top behavior? For those with a sore cheek due to an inappropriate first contact, you know what I’m talking about. The employment arena holds forth certain truths and expectations as we know. Unfortunately, not as many individuals adhere to the concept of departing relationships with the same degree of respect. Bringing truth to the surface, leaving a position carries baggage of its own; and this goes for personal as well as professional situations. When was the last time you took the role of the invisible superhero—how did that turn out? Hmm, I guess that’s why Elton John calls it the blues. Let me give you a recent example of professional courtesy and you tell me if the employee burned any bridges upon employment separation. Let’s call this young lady (who was employed for just over 90 days) Sam. As many readers will attest, (self included) health issues can disallow a consistent work schedule; thus, holding ill-feelings against an employee for things that are out of their control is not always the right thing to do, though is often what does happen… when was the last time you spent a few minutes at the gossip water fountain? I thought so. For Sam, her health forced her to make a choice. For the first 60 days Sam was the ideal employee. Great attitude, super work ethic, and was making a positive effect on the bottom line. Unfortunately health issues caught up and she was unable to perform her duties. She made the choice to severe our business relationship and did the right thing by personally notifying me of her inability to continue and a time/day was scheduled for her to pick up belongings. This act of professional courtesy meant a great deal, not only for the moment, but also for future consideration. The option of not calling and simply not showing up could have been chosen. The option of not showing up occurs more often than not as it is, for many employees, the easy and cowardly way to end employment. Bit of advice: when a decision has been made by an employee to no longer work for a company, ALWAYS inform your supervisor. In the case of Sam, her bridge to this company remains open and when she is capable of returning, she has a home and a group of people who genuinely care about her. I believe that’s what makes a company and its employees successful. On this same note, how many readers decided to leave a company and “accidently” forgot to inform your supervisor, choosing option number 2 and quietly vanish into thin air, leaving your employer in the dark? No doubt we’ve all done it, but that does not make it right. Building bridges between networks and employment histories is part of maturing as a professional and person. Keeping those bridges, even if the path did not work out, is just as important. When you get a few minutes, let me know some of the situations you encountered used to justify your disappearance act? Tomorrow is built upon Today’s action(s) and Yesterday is the glue binding all… think about it. Expressing his growing frustration, scientist, diplomat, and entrepreneur, Benjamin Franklin, 56, told reporters Monday that he is giving up on the Internet as a principal means of his job search and going back to writing letters and leading revolutions. “Tis all a sham. I ought write Mr. Craig a letter expressing my utmost dissatisfaction with the integrity of his list,” Inventor and Postmaster of Philadelphia, Mr. Franklin, told reporters while attending a career fair last Wednesday. With so many job and message boards available over the Internet, the average Joe and Sue are left to roll the dice in the hope their dream job will find them. 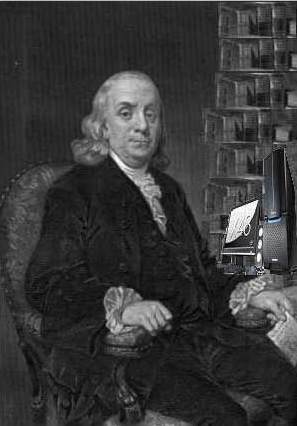 When asked for alternatives, Mr. Franklin had only one thing to say “There are no gains without pains.” That’s right; it was Poor Richard, not Rocky Balboa’s trainer that said it first. The downside of having this wealth of information at our finger-tips is the complacency that has developed as a side effect. The average career seeker has become comfortable with the notion that spending two to four hours surfing the web in their pajamas is a sufficient enough ‘job search’; there isn’t much left to do. Standing before the unbalanced ratio of employers to applicants, Mr. Franklin pounded his walking stick three times on the venue floor, raised himself onto a cafeteria table, and exclaimed in true revolutionary fashion, “Hear ye’, hear ye’…hide not your talents, they for use were made. Sloth makes all things difficult, but industry, all things easy. He that rises late must trot all day, and shall scarce overtake his business at night and poverty shall soon overtake him.” And with that, this patriot stormed out of the auditorium, leaving 250 people stunned and confused. Let’s make sense of the wisdom this Renaissance man was trying to communicate. The explanation is simple, think outside the box. The following statistic clearly demonstrates the obstacles for successful career searches: 80% of jobs are not, or have yet to be, posted on the Internet, leaving 20% of posted positions to be fallen on by the hungry masses. Alarmingly, 80% of seekers are using the Internet as their sole means of research. What is the other 20% doing? Career seekers taking advantage of the Internet AND the non-advertised market are being industrious and using their talents. They reach out to the company decision-makers within their dream industries. Adding during a Skype interview, the Seminal Postmaster explained, “Hath the public forgotten the impression sealed within letter? 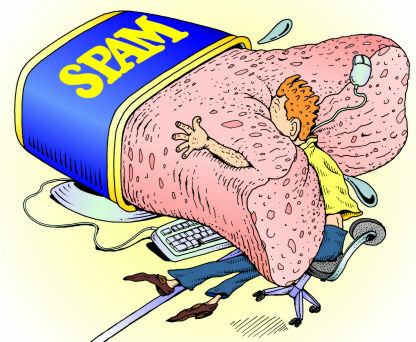 Doth the individual prefer being Spam whilst success lay in standing above the crowd?” So, what should the first step be? Visit your local librarian and ask for reference books containing up-to-date listings of companies operating your industry of choice. You will find ample supply of such material, print or electronic, made available to libraries. In most cases, there will be a telephone number accompanying the street address. With this information in hand, the next step would be to call and request the name, mailing information, and if possible, the telephone number of a decision-maker within a certain department. Once company/contact information is received, consider petitioning for an Informational Interview. Prepare a broadcast mailing by compiling a substantially large list of companies/individuals; include a compelling cover letter and a concise, impactful one-page resume based upon the VALUE you bring, keeping it metric based. Presenting superior marketing documents is critical. This approach is not for the faint of heart. It requires work, courage, and passion. This fortitude should be easy to come by since we are talking about your career; a vastly important element of your life. Broadcast mailing can open many doors. Take a few minutes to scroll through the blog submissions below offering insight on direct mailing and informational interviewing. Perhaps this is the first time you have considered an analogue mailing of this magnitude and are a bit doubtful of the strategy. If this is the case, we would be happy to put you in contact with Mr. Franklin (or a career consultant if he’s not available) to discuss the particulars of this strategy. For more information regarding the types of resumes and cover letters hiring managers are looking for, post a reply and we will be happy to assist you. A few days ago I read an article from the Career Management Alliance (CMA) highlighting how the pool of workers will be increasing for many years to come. In a nutshell, this is due to our seasoned employee’s intent to remain active in the workforce many years after retirement age. 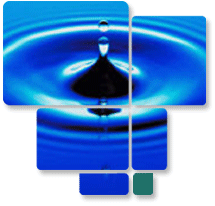 The rippling effects of such a shift have consequences well beyond the immediate. The baby-boom generation-those born between 1946 and 1964-is expected to remain in the labor force longer than previous generations. As this group ages, the number of people in the labor force aged 55 to 64 is expected to grow by 33 percent between 2008 and 2018, and the number of people aged 65 and older is projected to grow by 78 percent. The numbers of 45- to 54-year-olds and 35- to 44-year-olds are expected to shrink as baby boomers age and shift into older groups. Total labor force growth is expected to average about 8 percent during the projections decade. Because of such factors as better health and medicine, the number of adults in the labor force aged 65 and older is expected to grow about 10 times faster than the total labor force. With our unemployment situation in such a depressed mode, it appears the world will need more than a helping hand from our government and President Obama. From senior-level employees to high school students to graduating students, the impact of a larger pool of applicants means more competition. As a result, more competition means a return to Darwinism; survival of the fittest may be this decade’s mantra…. Hey, just keeping it real. No longer are employers seeking candidates unable to perform a wide range of responsibilities. The new “fittest” will be employees capable AND willing to do more (and often for less—sorry). For those in the workforce, continue professional development training, learn more skills, become adaptable, prove to your employer that you are focused on progression. In other words, no more complacency. For the student or recent graduate, I encourage you to also learn as many skills as possible. 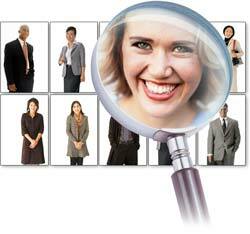 Become active in the community; develop a diverse network of peers from various industries. While in high school or college, take a good look in the mirror and check out what stares back, objectively. Sitting back, attending to your major while ignoring the competition is not career survival. As a career coach and resume writer, I encourage you to study beyond your major—as a matter of fact, obtain a minor in a completely different field…think about it. With the pool of applicants increasing (and no release valve in sight), it’s time to gather as many skills and experiences as possible. Is the pool large enough for all to swim? No doubt if Darwin was around, he would keep it real and tell it like it is. Don’t spam filter out a job offer! The only thing more annoying than spam e-mail is that we still get junk mail in our physical mailboxes. You know – the ones we have to go outside to check? But as aggravating and virus infested as spam mail might be, you don’t want to filter out a future employer’s contact. Therefore, I recommend against adding on features which will require a hiring authority to go through steps to establish they are a real person – ie. getting transferred to a website and typing in random numbers and letters they have to read through a strangely colored box. I’ve gone through the trouble of doing this for a couple of friends and clients, but if I was in the position of scheduling a dozen candidates for interviews – I’m not sure I would bother. If you are strongly concerned about spam mail, go ahead and establish a separate e-mail account used solely for your career search. Remember to check it several times a day, but at least you know that all correspondence sent to and from that account will be dedicated to your career. Therefore, there will be no chance of you losing an important e-mail in the shuffle of your regular correspondence. A dedicated e-mail account will also allow you to track easily which companies have responded to your inquires and/or submissions. And it offers the benefit of professionalism should your current e-mail account be a little too cutesy, flat-out inappropriate, or give away information you might want to not reveal (your children’s names, your birth year, etc…). Rather or not you choose to keep your current e-mail on your resume or replace it with a new one, remember you want to make it as convenient for the hiring authority (or their assistant) to contact you. The more steps you ask them to take to get a hold of you, the more you increase the possibility they move on to another candidate! While it may seem unfair, not all skills were created equal and employers do find some skills more desirable than others. Therefore when writing your resume and cover letter, remember hard skills win out over soft skills every time. Hard skills are quantifiable and easily demonstrate the benefit you offer an employer. They include account growth, budget management, inventory control, and customer turnaround, to name a few. 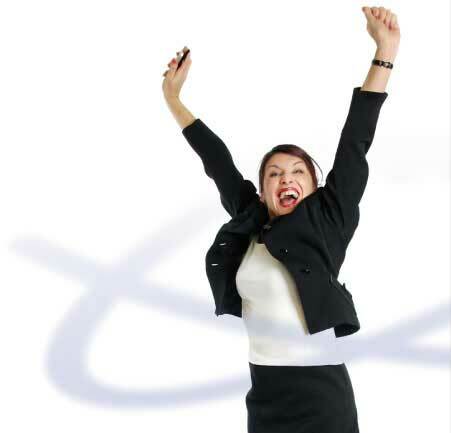 The purpose of a resume is to entice a hiring authority to call you in for an interview. To do so, you want to get them thinking about what you can do for their company. Showing them you fill their needs and demonstrating your past contributions is the best way. Think about it, what do you think an employer needs more: a great communicator or a customer care specialist? * A great communicator may talk to the clients well, but not be particularly adept at customer care. * A customer care specialist is likely a great communicator, but more importantly, they add value to a company. Team member on budget, marketing, and sales committees. Cut concept to actualization time 50% by coalescing committee input for cross-department collaboration. Which description would an employer find more valuable? Even when hard skills are not quantifiable (if for example, you don’t know the numbers), they should always be provable. How do you prove you are a dedicated professional before your next employer sees you on the job? And even if you are dedicated, what are the results of your dedication? You could be dedicated to mediocrity. Or dedicated to getting a paycheck. Decreased overstock by introducing inventory check-lists and just-in-time ordering. While that statement would be significantly stronger with numbers included. It still proves inventory management as a skill. Another way of looking at the difference between soft and hard skills is soft skills tell an employer who you are. Hard skills show them what you can do.